Instructor Candidates should expect to shoot approximately 100 rounds of ammunition. Instructor Candidates will learn how to teach the basic defensive shooting skills, strategies for home safety and responding to a violent confrontation, firearms and the law, how to choose a handgun for self-defense, and continued opportunities for skill development. 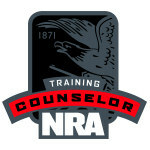 Instructor Candidates will receive the NRA Personal Protection in the Home Instructor Manual, NRA Guide to the Basics of Personal Protection In The Home handbook, NRA Gun Safety Rules brochure, the Winchester/NRA Marksmanship Qualification booklet, and course completion certificate. NRA Basic Personal Protection In The Home Instructor course is for law-abiding adult citizens, as defined by applicable federal, state, or local law, and experienced shooters (shooters able to show mastery of the basic skills of safe gun handling, shooting a group, zeroing the firearm, and cleaning the firearm) to maximize what can be learned from this course. Comfortable clothing, knee-pads (optional) and foot wear suitable for training outdoors. PLEASE NOTE: Certs are issued by the NRA training department, therefore there is also additional certification and processing fees payable to the NRA. **This is a 2-Day Course with BIT 1 day without** You must have completed and be Certified to teach NRA Basic Pistol course along with having successfully completed the Personal Protection in The Home Student Course and pass the prequalification test in order to take this Certification Course. You also must have had Basic Instructor Training within the last 2 years if the BIT is not included in this course. 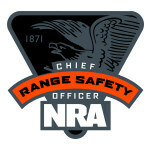 Please remember NRA Instructor Courses are performance based courses, Instructor Candidates must possess the knowledge, skills and attitude necessary for this level of training. You do not pay and automatically pass Instructor training. You pay to have the opportunity to pass.